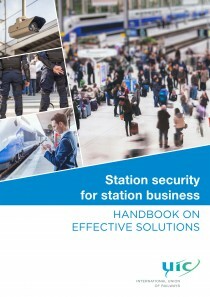 The idea of this handbook is to give an overview of security measures and specific tools used for different situations in their relation to station management and especially to station business. Chapter 1 of this handbook is dedicated to the description of station security tools and measures and proposals on station typology by security tools. Chapter 2 presents analysis of the impact of specific tools on certain aspects of station management and station business. Chapter 3 gives ideas and recommendations on strategies for different types of stations described in part 1.